A few Saturdays back, I walked through the revolving doors at the London Lancaster Hotel with absolutely no clue of the wonders the next 10 hours would bring. 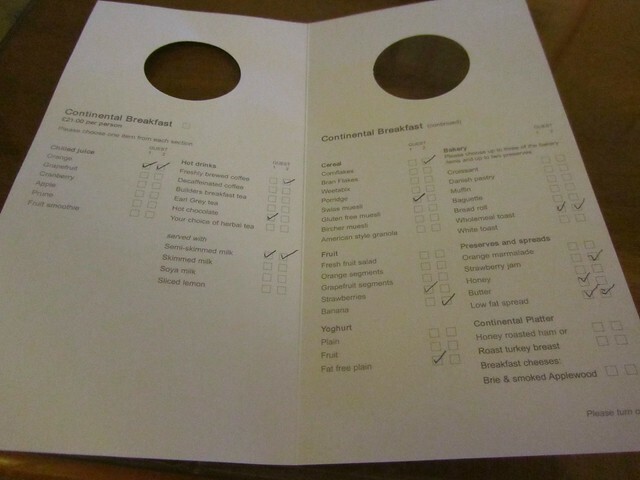 The lady at check-in was very friendly and welcoming, asking the usual sorts of questions; if this was our first visit, would we like a newspaper / wake-up call in the morning... then she mentioned that we would be receiving a complimentary upgrade. We were really surprised, said our thanks and walked to the lifts with the key card. For my original booking I'd selected a room on one of the higher floors of the hotel - floor 15 or above - and when we were in the lift we noticed that the room key was for floor 6. It was then that we were a little dubious about the whole room upgrade thing. Going from one of the higher floors to floor 6 didn't exactly seem like an upgrade. 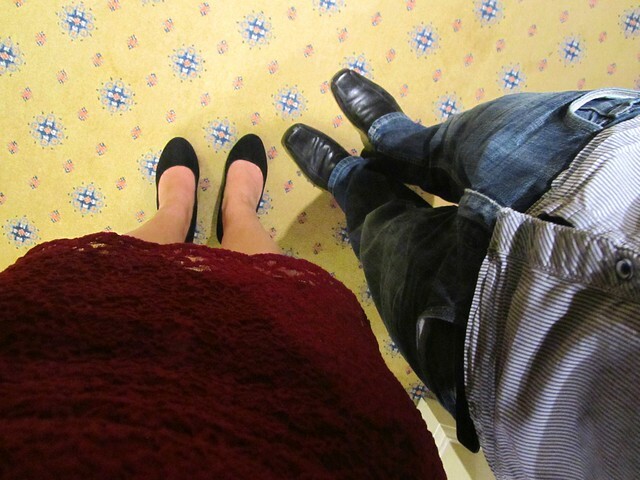 We watched couples in the lift selecting floors 18 and 16, and felt their pitying eyes on us as we pressed "6". However we remained open minded. We got out of the lift, unsure of what to expect. We turned the corner and M. made an inaudible kind of noise of the surprised variety. The details are fuzzy. 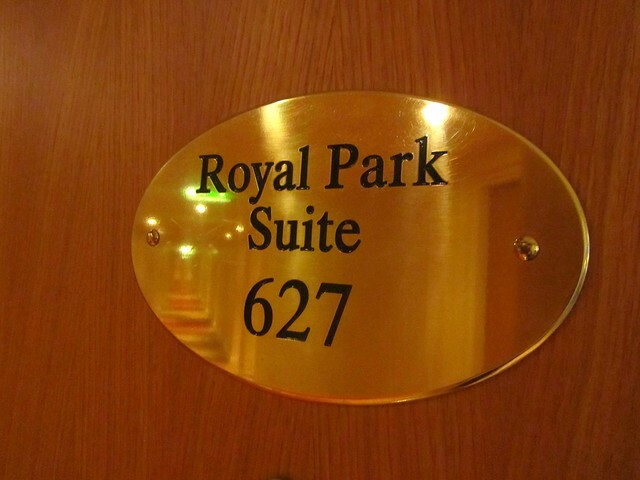 But as we walked further down the corridor, our room number came into focus with the words "Royal Park Suite". I assumed it was a mistake. This couldn't be. Things like this just don't happen to me. For part of the evening I even thought that M. had arranged it with the hotel in advance. 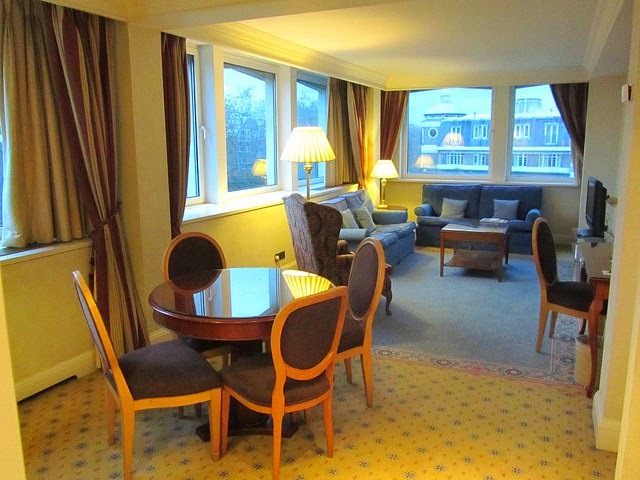 But he assured me that he hadn't and that it was indeed a complimentary upgrade from the hotel. 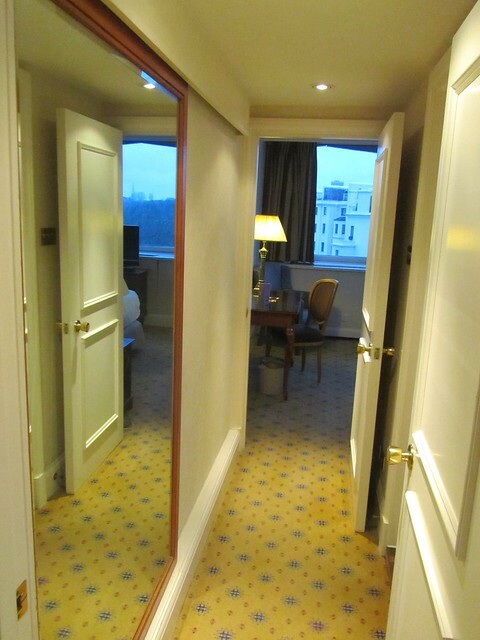 Upon opening the door, I was blown away by how large the room was and how light and airy it was. 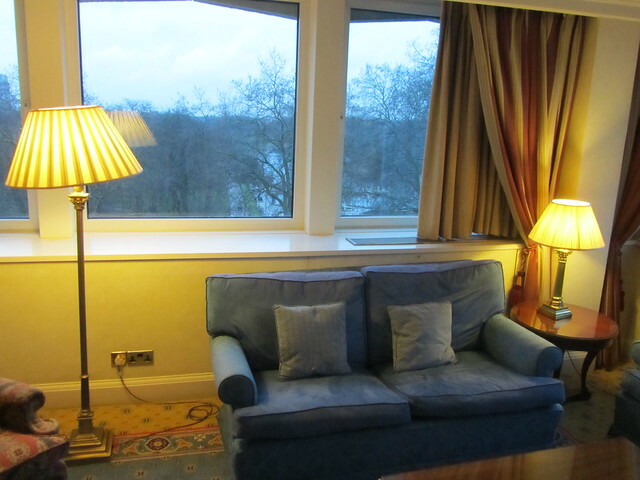 Windows lined the whole length of the room and offered beautiful views of Hyde Park. 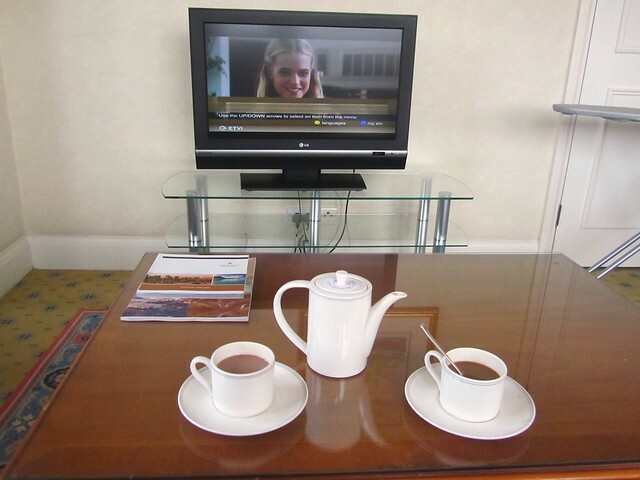 As soon you walked in, you entered a large room containing a side board with tea and coffee facilities, a dining room area, desk number 1 and then a sitting room area comprising of two sofas, one armchair, wide screen TV and a large coffee table. Down the corridor there was a large full length mirror which slid open to reveal a wardrobe, iron and ironing board, gowns and slippers. 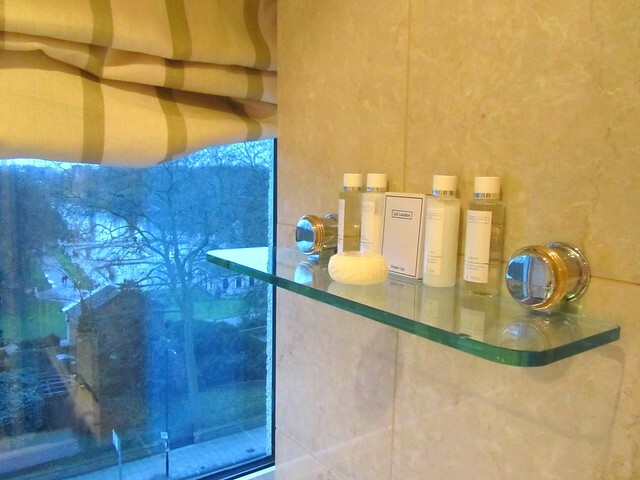 Just opposite, the bathroom had a lovely view across Hyde Park and was stocked with lots of White Company products. 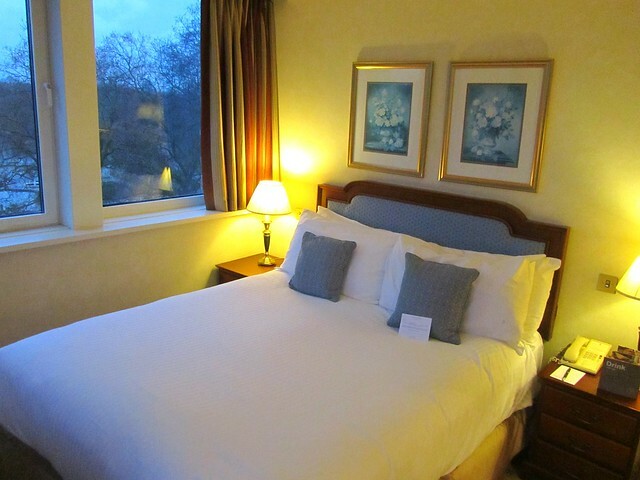 Even further down the corridor was desk number 2 and a very welcoming looking double bed with more lovely views of the park. I was - and still am - really touched by the generosity of the upgrade. They could've given me the same room I'd paid for, but with a park view. 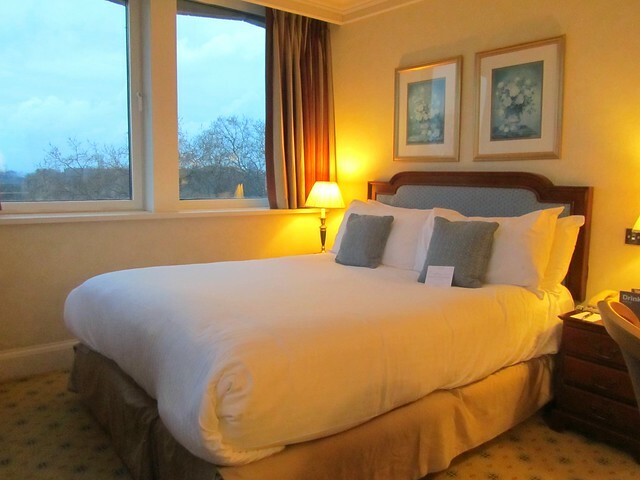 Or the next room 'up' - like a deluxe room or something. But no. 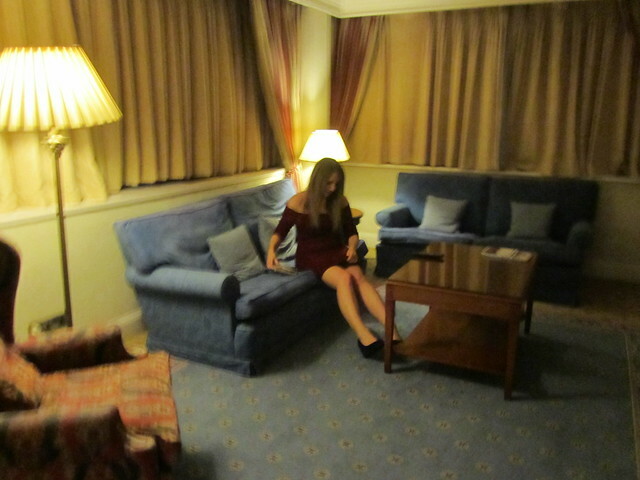 This was a suite. The highest ranking room they have. I looked it up and a room like this is worth just shy of £500 A NIGHT. It was Valentine's Day. It was a Saturday. I found it hard to believe that they'd have any rooms available - let alone a suite! After quite literally walking from room to room with our mouths agape for about 20 minutes(!) we took some photos to help cement the memory, and started drawing all the curtains as it was growing dark. Drawing the curtains took a little while - especially in the dining room / lounge area! We had a a few hours spare before dinner so there was plenty of time to settle in, and eventually.... get the kettle on (sooo British!). All dressed up ready for dinner, we made our way downstairs to the restaurant where we already had a table booked. 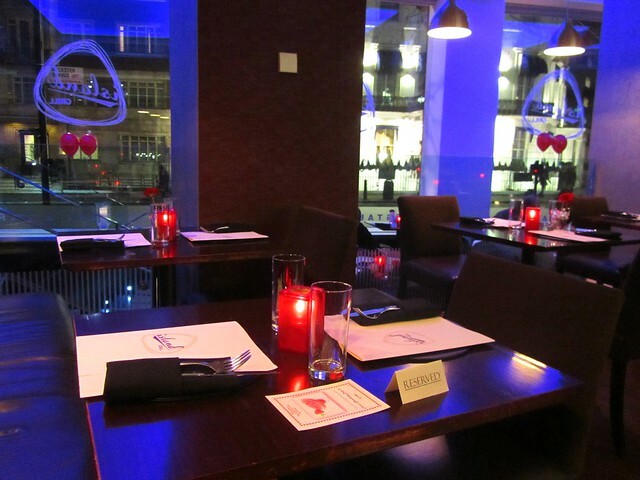 We shared a beautiful bottle of Malbec and deliberated over the menu. Everything looked so good. In the end we ordered the pork belly and the scallops to start. The scallops were beautifully cooked and I had major food envy. 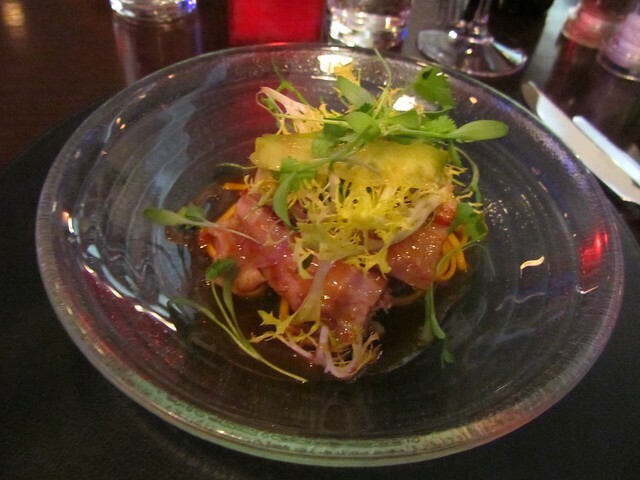 The pork belly was a good cut of meat which wasn't too fatty unlike other pork belly I've had in the past. 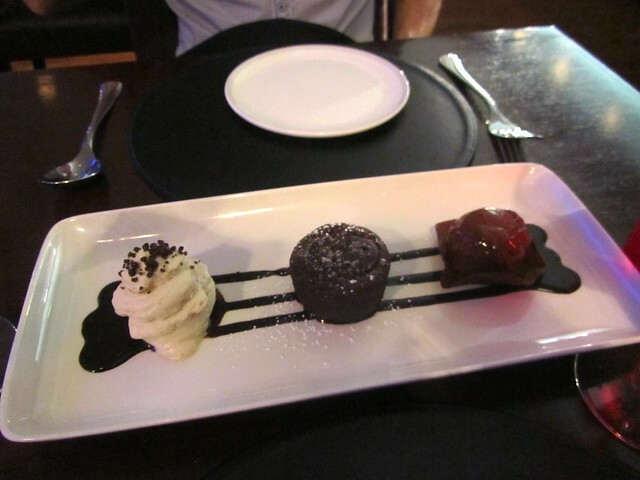 It was beautifully presented in a glass bowl with lots of vibrant colours. The one thing I was really disappointed by was the main reason I'd ordered this dish - the melon and cucumber salad. I found the salad to be mainly lettuce. It didn't contain any cucumber and I only found the smallest bit of melon. 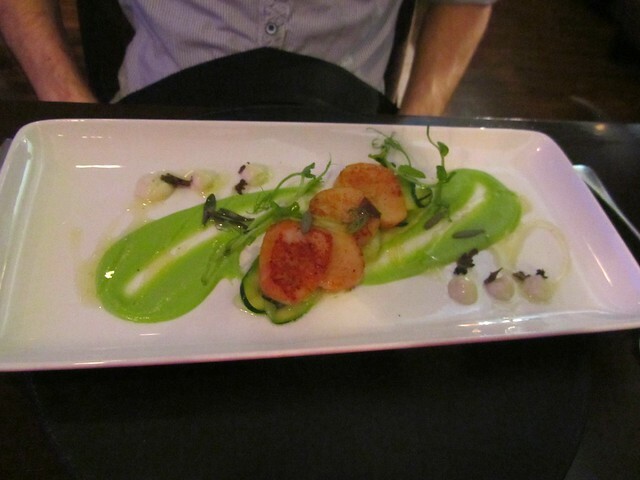 The scallops on the other hand had cucumber on the plate despite the fact that cucumber wasn't actually listed on the menu. 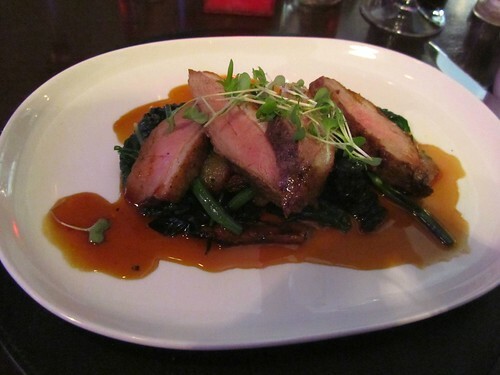 But other than that, the pork was a tasty and light dish. 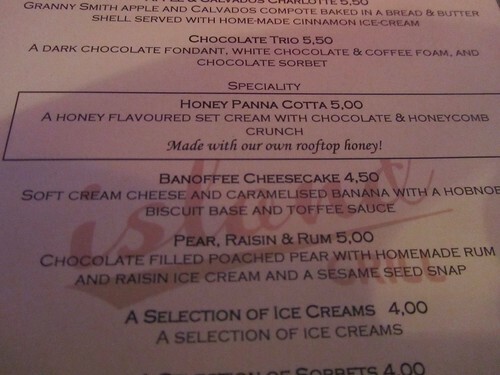 The lack of salad I expected means I probably wouldn't order it again in the future. 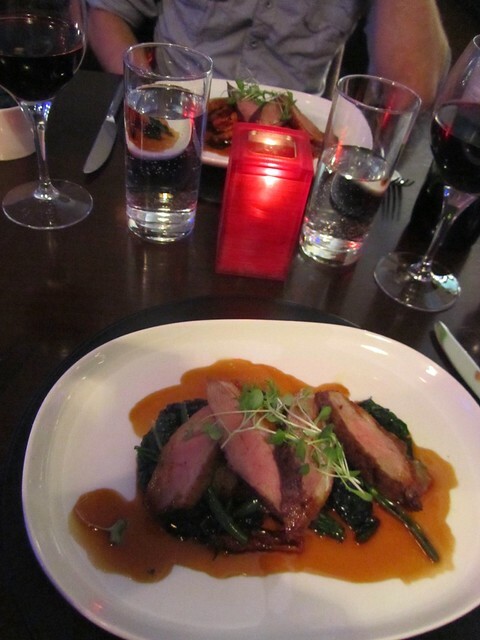 For the main course we both had the duck. 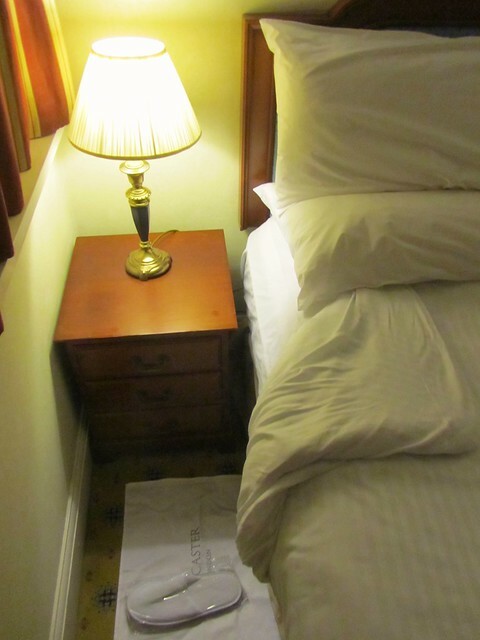 Turn down service! Something I'd never experienced before. 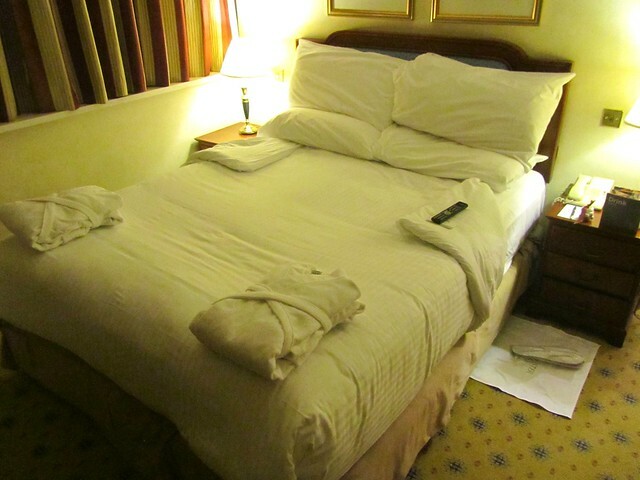 Slippers and and robes were neatly presented on both sides of the bed, where we were also left a breakfast menu for the morning, the remote and a packet of sweets. It was a lovely little surprise and it's little details like this that make a stay extra special. We promptly changed into our robes and slippers. 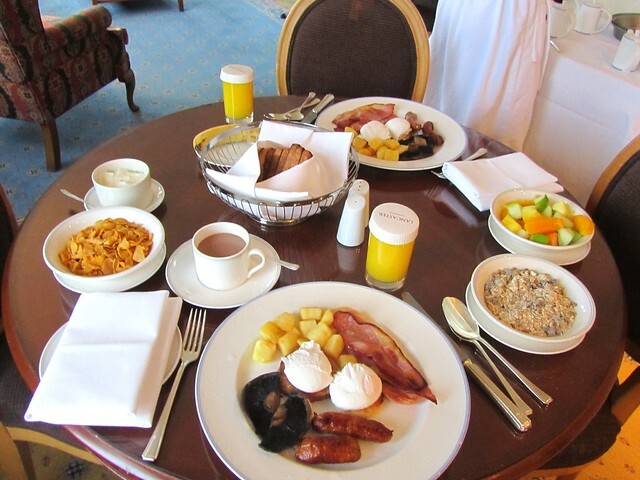 We ate breakfast at the dining table, with the perfect view over Hyde Park. We ate until it physically wasn't possible any more(!) 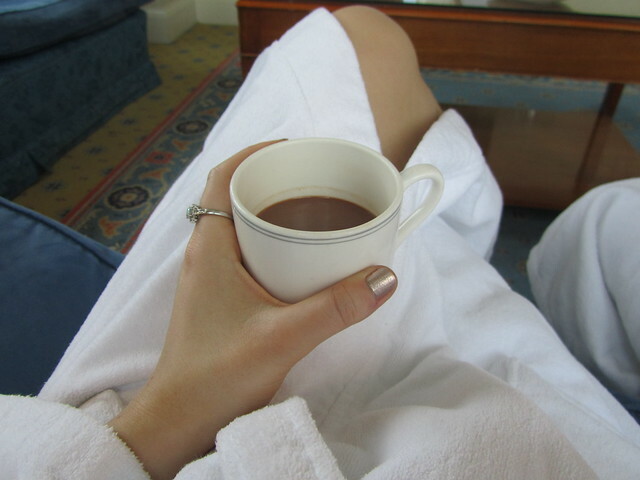 and then adjourned to the lounge with our hot drinks. 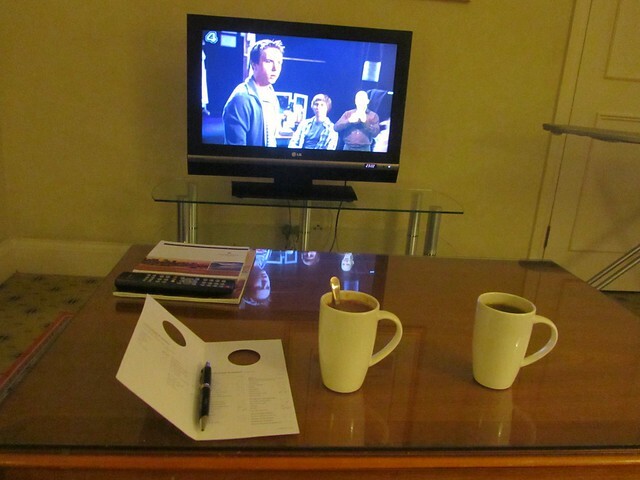 We made the most of late check-out and stayed in the room until the very last minute. It was sad leaving our little slice of paradise behind, however I was - and still am - incredibly grateful that we were given the opportunity to experience this type of room. 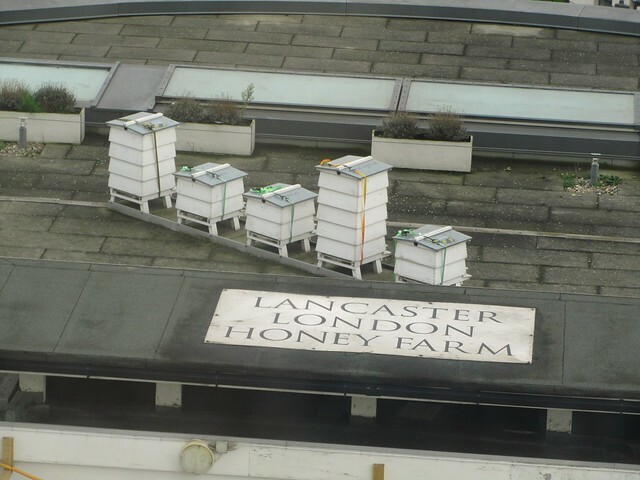 Thank you so much to the London Lancaster London for such an unforgettable stay. 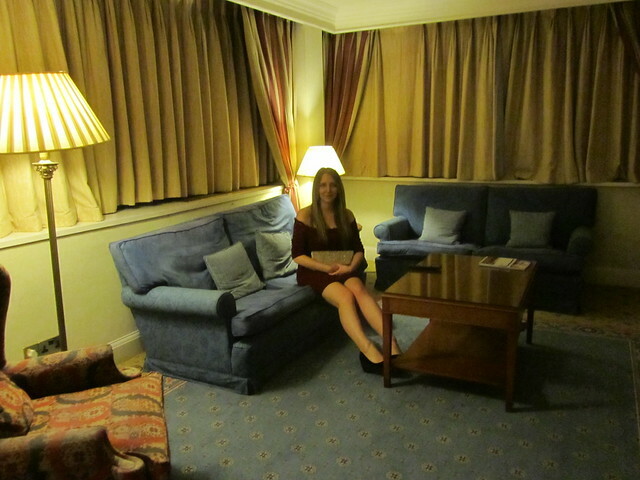 It looks like you guys had such a lovely time and what a wonderful surprise to be upgraded to the Royal Suite! Did they ever explain why the upgrade was made, or do they just randomly upgrade guests sometimes? It looks like you guys also definitely had your fair share of yummy food! 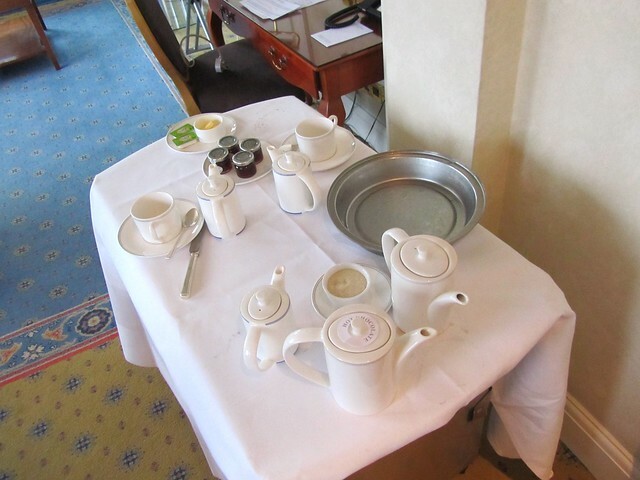 Breakfast room service is the absolute best! Thats so awesome that you got an upgrade, very lucky! 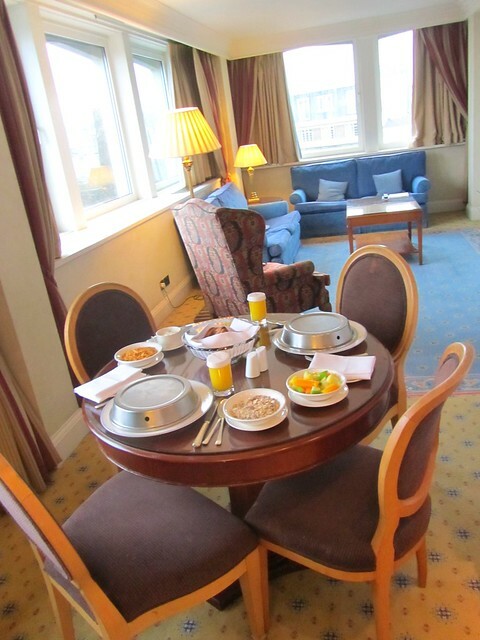 The Suite looks awesome, and that breakfast looks amazing. I love hotel breakfasts. Looks like you both had a lovely time.